Dull knives are as dangerous as they are useless. Not only do dull knives require much more energy and exertion, but you’re also actually much more likely to accidentally cut yourself with them than a sharp knife. 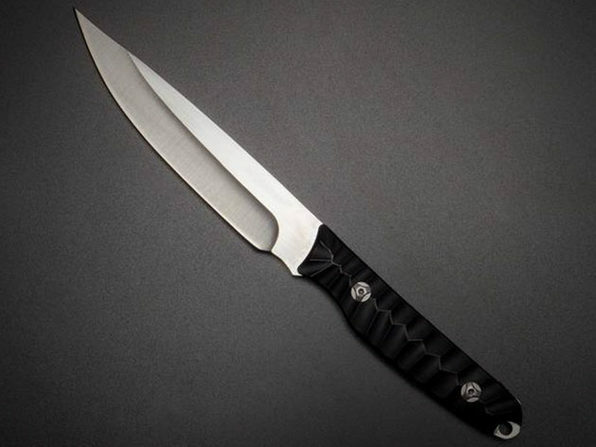 Unlike well-crafted knives, like the Tekto Gear Fixed Blade Knives, a dull knife require the application of excessive force in order to slice through anything tough. That increases the likelihood of a dull knife slipping and drawing blood. Don’t waste your time with dull knives. If you want a durable knife with superior functionality, the Tekto Gear Fixed Blade Knives fit the bill perfectly. Each lightweight, stainless steel blade is 5.4 inches in length and no more than 4mm thick. That’s ideal for effortlessly slicing through even the toughest of material. The handle is constructed out of ABS and fiberglass to provide a comfortable and sturdy grip. Whether you’re in the market for an everyday carry knife or an addition to your next camping trip, the Tekto Gear Fixed Blade Knife is exactly what you need. Weighing in at 0.25lbs, this knife is extremely light. Get yours today for just $39.99! That’s 46% off the original price.